1Department of Medicine I, University of Heidelberg, Im Neuenheimer Feld 410, 69120 Heidelberg, Germany. 2Department of General Surgery, University of Heidelberg, Im Neuenheimer Feld 110, 69120 Heidelberg, Germany. A 40-year-old woman with recurrent episodes of hypoglycemia was referred because of suspected insulinoma. Prolonged fasting was discontinued after 24 h due to symptomatic hypoglycemia (29 mg/dl, glucose/insulin-ratio 0.34). Magnetic resonance tomography showed a small 0.3 cm lesion in the body of the pancreas. During subsequent surgery a pancreatic tumor could not be detected, neither by manual palpation nor intraoperative ultrasonography. A hyperinsulinemic, sequentially eu- and hypoglycemic clamp confirmed the biochemical diagnosis of endogenous hyperinsulinemia and intra-arterial calcium stimulation localized calcium responsive tissue in the feeding distribution of the superior mesenteric artery. An octreotide scan was negative. During relaparotomy, six weeks after the initial surgery, the pancreatic body and tail were resected and a ∼1 cm non-malignant insulinoma was found. Although the use of highly sensitive, and more sophisticated and expensive methods for the diagnosis and localization of insulinomas are not generally suggested, we recommend application of intra-arterial calcium stimulation if the tumor is not detected using conventional diagnostic procedures. Insulinomas are the most common cause of hypoglycemia related to endogenous hyperinsulinism . The incidence of insulinomas is rare, one case per 250,000 patient years. Approximately 90% of insulinomas are benign and they are sporadic or familial as a component of the autosomal dominant multiple endocrine neoplasia type 1 (MEN-1) syndrome. The general diagnostic strategy is to examine for inappropriately elevated plasma insulin concentrations during hypoglycemia in the postabsorptive state. Sometimes it is necessary to extend the fast to 48 or 72 hours (prolonged fast). Insulinomas are almost always located inside the pancreas and are often small. Therefore diagnostic imaging procedures of the pancreas (ultrasonography, computed tomography, magnetic resonance tomography) sometimes fail to detect the tumor. In such patients additional diagnostic tests with high diagnostic accuracy need to be employed in order to confirm the biochemical diagnosis. We report the diagnostic procedures employed in a patient after negative laparotomy with persistent clinical symptoms of hypoglycemia. In December 2003, a 40-year-old woman was referred to the neurology department of an outside hospital. For several months the patient had suffered from intermittent headaches. For six weeks prior to referral the patient had experienced temporary episodes of reduced vigilance, which were accompanied by unspecific symptoms like agitation, loss of concentration, hyperhidrosis and abdominal discomfort. When these episodes became progressive and caused memory loss of up to ∼30 minutes the patient sought medical care. Since the incidents were preceded by a prodromal stage with an aura and were typically followed by a period (∼one hour) of fatigue and sometimes sadness, the patient (a neurologist) assumed complexpartial epilepsy as the underlying cause. In hospital repeated electroencephalograms showed a general pattern of change. Antiepileptic therapy was initiated with valproic acid and intermittently switched to topiramate due to inefficacy. 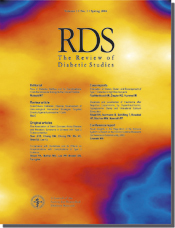 When during one incident a blood glucose of ∼30 mg/dl was measured the patient was suspected to have an insulinoma and treated with the KATP-channel opener diazoxide to inhibit endogenous insulin secretion. Magnetic resonance tomography (MRT) showed a ∼0.3 cm lesion in the dorsal part of the pancreatic body and the patient was referred to our hospital. On admission to our department, the patient was conscious and physical examination was unremarkable. The patient's metabolic findings are summarized in Table 1. There was no weight gain in the months prior to hospital admission. In order to obtain a definite biochemical diagnosis we performed a prolonged fast, which was discontinued after 24 hours because of hypoglycemia and symptoms of neuroglucopenia (Table 1). A pathologically elevated insulin/glucose ratio at discontinuation confirmed the diagnosis of an insulinoma (Table 1). No sulfonylureas, nateglinide or repaglinide were detectable in the urine. The patient was referred to surgery for laparotomy and resection of the tumor. However, intraoperative manual palpation and intraoperative ultrasound imaging failed to detect a pancreatic tumor. A tissue sample from the pancreas was taken for histology. Analysis showed regular pancreatic tissue without evidence of an endocrine tumor, nodular or diffuse islet-cell hyperplasia (immunohistochemistry). Despite these negative surgical and pathological findings, the patient had persistent symptoms of hypoglycemia. In order to confirm endogenous hyperinsulinism as the mechanism for hypoglycemia the patient underwent a hyperinsulinemic, sequentially eu- and hypoglycemic clamp experiment (Figure 1). In persons without insulinoma C-peptide concentrations at the end of this test are usually suppressed to 0.06 ± 0.01 nmol/l . The lack of C-peptide suppression provided a definite biochemical diagnosis (Figure 1C). Subsequently an intra-arterial calcium stimulation test allowed localization of the insulinoma to the supply area of the superior mesenteric artery (Figure 2). MR imaging detected a pancreatic tumor of ∼0.3 cm in the pancreatic body (corresponding to the findings of the earlier MRT) but showed no evidence for extrapancreatic or hepatic tumors. A somatostatin receptor scintigraphy with 111In-Octreotide showed no pathological enrichment. There was no clear indication for a MEN-1 syndrome (Table 1). Figure 1. Plasma glucose (A), insulin (B) and C-peptide concentrations (C) during a hyperinsulinemic, sequentially eu- and hypoglycemic clamp experiment in the patient. Human insulin was infused at 20 (0 to 90 min) and 80 mU/kg/h (90 - 270 min), while the glucose infusion rate (glucose 20%) was adjusted to first create normoglycemic and then hypoglycemic conditions. Hyperinsulinemic hypoglycemia fails to suppress C-peptide concentrations (see arrow: C-peptide in control subjects). Relaparotomy was carried out and based on the results of the arteriography a small tumor in the pancreatic body was detected. Consequently a distal pancreatic resection (pancreatic left resection) was performed. The resected tumor was ∼1 cm in size. Histology confirmed the diagnosis of an insulinoma. Postoperatively fasting glycemia was in the range of 90-110 mg/dl and there were no residual symptoms of spontaneous hypoglycemia. Figure 2. Plasma insulin (A) and C-peptide (B) concentrations after selective intra-arterial calcium injection in the patient. Calcium injections were separated by periods of 15 minutes to allow hormone concentrations to return to baseline values. Surgical resection is the only available cure for insulinomas. Thus an accurate biochemical diagnosis is warranted prior to surgical exploration. Once biochemical diagnosis is made our approach is to use MRT and/or endoscopic ultrasound for localization. If a pancreatic tumor is found the patient is referred for surgical exploration and resection of the tumor. The present case of an insulinoma illustrates, however, that small tumors (≤1 cm) might require additional diagnostic procedures for preoperative localization. Prolonged fasting is a sensitive procedure for detection of endogenous hyperinsulinism (sensitivity >90 %)  and is routinely employed as the initial test to detect inappropriately elevated insulin secretion as the cause for recurrent hypoglycemia. In the present case, the patient was referred to surgery on the basis of an abnormal prolonged fast (Table 1) and positive tumor localization on MRT. Intraoperative manual palpation of the pancreas by an experienced surgeon and intra-operative ultrasound are both sensitive tools (>80 %) for the localization of insulinomas [4, 5]. The reason for the lack of intraoperative detection of the pancreatic tumor was probably that the tumor was small, as suggested by the preoperative MRT (∼0.3 cm), and that the tissue density might have been similar to that of the surrounding pancreatic parenchyma, diminishing the sensitivity of manual palpation and ultrasound to pinpoint the location of the tumor. Diffuse islet hyperplasia was excluded by histology. Factitious hypoglycemia could not be completely ruled out in the present case, because the patient had direct access to glucose lowering drugs. We therefore performed additional diagnostic tests to confirm the diagnosis and to provide more detailed recommendations for surgery. The hyperinsulinemic, hypoglycemic clamp procedure [2, 6, 7] suppresses endogenous insulin secretion by hyperinsulinemia- and hypoglycemia-mediated feedback inhibition of beta-cells. The pattern of C-peptide concentrations indicated that the glucose dependence of insulin secretion (C-peptide increments) was qualitatively preserved but quantitatively offset, proving autonomous insulin secretion (Figure 1). Intra-arterial calcium stimulation  confirmed the diagnosis and allowed for localization of the autonomous focus by showing an incremental response after intra-arterial calcium injection into the superior mesenteric artery (Figure 2). This test is based on the principle that only insulinoma cells secrete insulin in response to calcium injection by a mechanism involving calcium sensing receptors, which correspond to the human parathyroid calcium receptor and mediate calcium induced insulin secretion . In effect, the unequivocal localization of the insulinoma in the present patient (Figure 2) excluded factitious hypoglycemia, which would not be expected to result in a regionally variant response. The detection rate obtained using this test has been evaluated by several groups and found to reach 80-90% [10-12]. Octreotide scans localize about half of insulinomas  but did not provide additional information in the present case. The cost-effectiveness of various diagnostic procedures is difficult to determine. One study found a slight advantage of using intra-arterial calcium stimulation as a first-line diagnostic procedure compared to application after unsuccessful laparotomy if both direct and indirect costs were taken into account . Another report, however, emphasized the exquisite sensitivity of intraoperative manual palpation and ultra-sonography for detection and localization of insulinomas and did not recommend intra-arterial calcium stimulation as an initial test for localization . Even when an insulinoma is localized preoperatively, it is not an absolute guarantee for a cure, since preoperatively identified tumors may be readily found at surgery, whereas those that escape palpation, may be missed. Based on our experience and the present case, we recommend MRT of the pancreas after biochemical proof of hyperinsulinemia-mediated hypoglycemic episodes. If, however, these techniques fail to detect a tumor or show a small lesion, as in this case a tumor of ∼0.3 cm, the use of more invasive methods with high diagnostic accuracy (e.g. intra-arterial calcium stimulation, clamp) is justified.